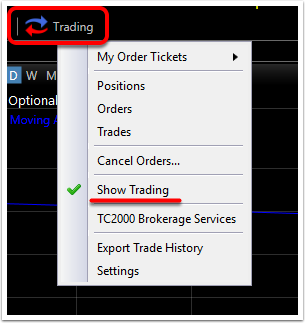 Trade tools, such as orders or trades, appear on the chart and in TC2000 by default. 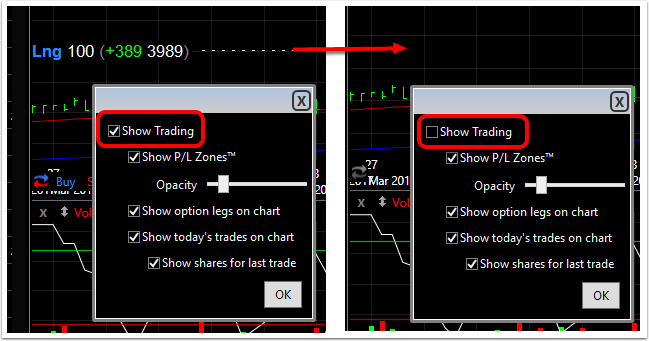 To turn these and other trading tools on and off follow these steps. 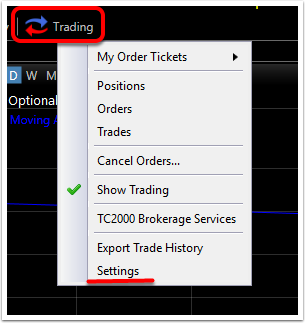 Uncheck the tick box next to Show trading to hide all trade tools (e.g. 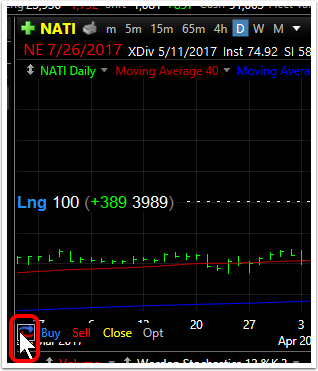 account summary bar) and chart trade notations from TC2000. 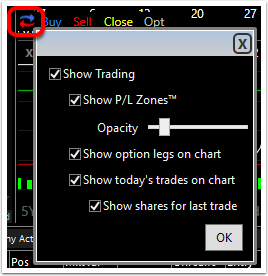 Uncheck "Show P/L Zones" to removed the red and green P&L Zones from the right side of the charts. 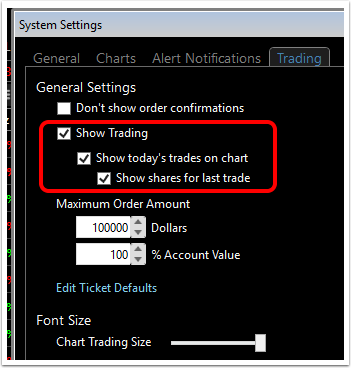 Note: change the size of the on-chart orders/trades displays with the Font Size slider in this Settings window.